Career: Had risen to Party Secretary of Fujian Province in 2012, a position he held until 2017, during which time he acquired experience in Hong Kong and Macau matters. 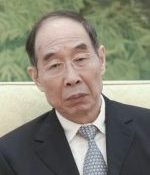 He was the first Party Secretary of Fujian to visit Taiwan and has worked to strengthen economic ties with Taiwan. Prospects: His last two positions have followed in the footsteps of Sun Chunlan. Unclear if this is a promotion. Relevance to Tibet: Responsible for day-to-day Tibet policy. A potential interlocutor for Tibetan exile leaders. You Quan spent 20 years working in the State Council. Was briefly Chairman of the State Electricity Regulatory Commission (Dec 2006 – April 2008) before returning to the State Council in a Minister-level post, working for Councillor Ma Kai, prior to becoming Party Secretary of Fujian Province. He replaced Sun Chunlan in that role, as he has also done in becoming head of UFWD. You Quan is the first head of the United Front Work Department since 1992 who is not also a member of the Politburo. He was an alternate member of the 17th Central Committee and a full member of the 18th and 19th Central Committees. The United Front Work Department is a Party body rather than a State organ, with a prominent role, albeit carried out in relative obscurity. It is divided into nine Bureaus, two of which have been created by Xi Jinping since 2012. In September 2014, in a speech celebrating the CPPCC’s 65th birthday Xi Jinping referred to united front work as a ‘magic weapon’ for the ‘Chinese people’s great rejuvenation’, one to be used by the CCP to seize victory, construction, and reform. In 2015, at the “CCP Central Committee’s Conference on United Front Work” Xi Jinping said: “Throughout our history, the Party has always placed the United Front and united front work in an important position within party-wide work. […] Presently, our situation and our mission have undergone significant change. The larger the change, the more the United Front under the ‘new situation’ needs to be developed, the more united front work needs to be carried out. […] united front work is party-wide work”. Xi noted that students studying abroad are a valuable and new focus of united front work and called on cadres to strengthen and perfect united front work targeting new media representatives so as to “allow them to struggle to purify cyberspace” (Xinhua). In July 2015 Xi created a Leading Small Group (LSG) on United Front Work. This entry was posted in Profiles and tagged China, Chinese Communist Party, Tibet, Tibet Work Leading Group, United Front, United Front Work Department. Bookmark the permalink.